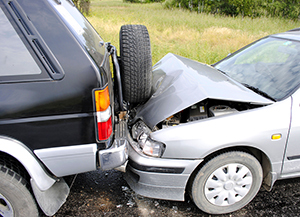 Fortunately for victims of motor vehicle crashes, Florida law allows people who are injured in accidents as a result of someone else’s negligence to recover through a personal injury lawsuit. The lawyers of Greenberg & Strelitz, P.A. are skilled South Florida injury attorneys who are committed to helping people injured in motor vehicle accidents recover for their injuries. We provide individualized representation to each client, and we strive to obtain the best possible result in each case. If you or a loved one has been injured in a car accident, you should contact one of our experienced personal injury attorney in Boca for a free consultation. The attorneys of Greenberg & Strelitz, P.A. understand how to successfully represent people who have been injured in motor vehicle accidents, and are dedicated to helping people after an injury. We offer free consultations, and our office is conveniently located just minutes from I-95 and the Florida Turnpike. If you are too injured to come to us, we will gladly come visit you at a place more convenient for you. In order to schedule a free consultation with one of our attorneys, please call our office today at (561) 361-9400. Se habla Español. If you would prefer to reach us via email, please click here to complete our online contact form and a member of our staff will contact you promptly.